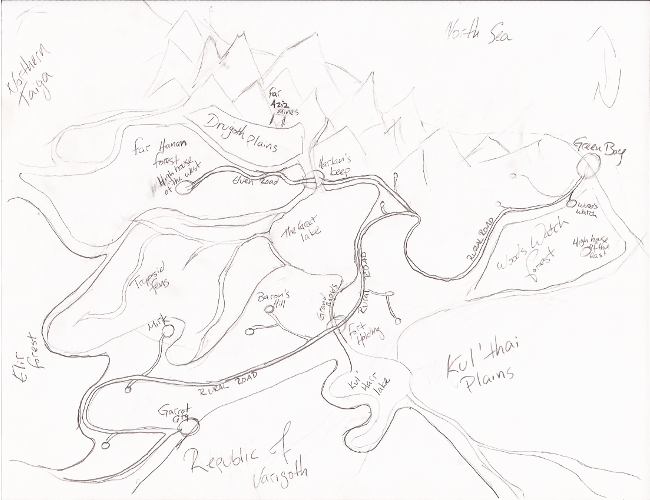 Elijah drew this map as primer for his campaign. It was designed to give the rest of us an idea what his world would be like in as players in his campaign. Of course, in the first game we were promptly whisked off to some far away and frigid land, but the map at least servers as a reminder of home.